The Roku is a streaming media player that you connect to your television via a cable to stream entertainment from the Internet through various content providers. There are four set-top box models currently available through Roku's website, Roku 1, 2, 3 and 4. All players connect to the Internet via WiFi, play up to 1080p high-definition video and allow for 5.1 or 7.1 surround sound. Roku doesn't store most of its content, but streams it directly, eliminating the need for large amounts of internal storage. Setup and use are fairly easy. Just connect your player to your wireless network and your TV via an A/V cable (included) or an HDMI cable (purchased separately, but required for HD quality playback), plug it into a power source, and control it with the simple battery-powered remote. Create a Roku account, and start streaming. Can Roku Stream iTunes Movies and TV Shows? The answer is no, you can't. According to Roku official website, it allows users to watch paid and free content from the Internet such as Netflix, Amazon Instant Video, Hulu Plus, YouTube, and much more, on your TV. However, iTunes is not included. Many users want to use Roku as a streamer to cast iTunes Movies and TV Shows to HDTV for playing, but they don't know which format is supported for streaming, that's why we are here to learn how to stream iTunes Movies or TV Shows on Roku. There are four most common video formats supported by Roku, including MKV (H.264), MP4 (H.264), MOV (H.264), WMV (VC-1, firmware 3.1 only). 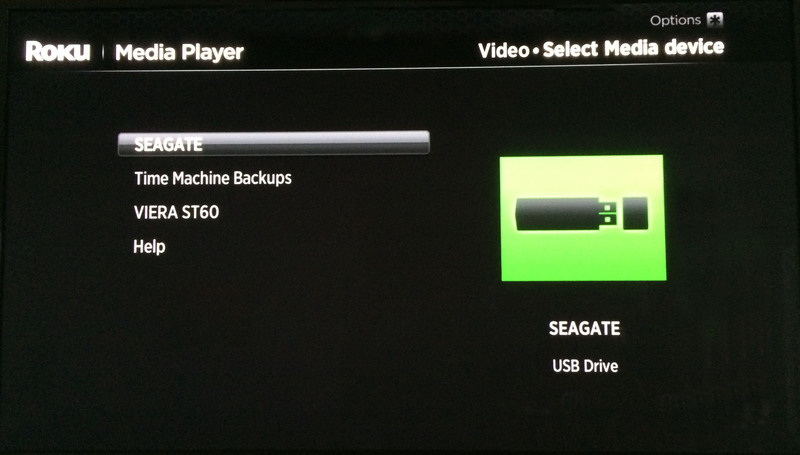 And iTunes movies or TV Shows are M4V format with Apple DRM protection. If you want to stream iTunes movies on Roku, you need to convert DRM-ed M4V to the common video format supported by Roku. 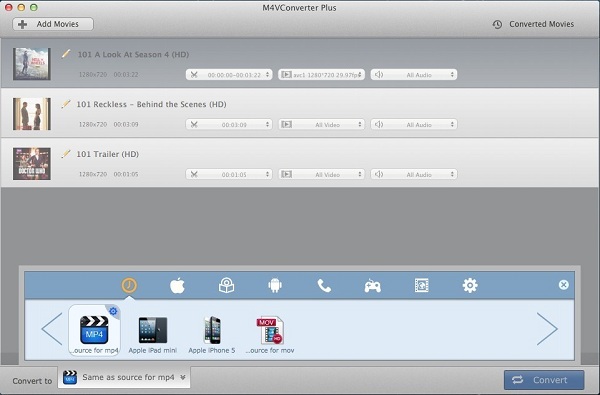 One of the best iTunes Movie Converter - M4V Converter Plus you can select. It can be used to convert any iTunes protected videos to MP4, MOV, WMV and many other plain video formats. The program provides many devices preset for you, such as iPhone 7, iPad, Google Nexus, PS4, Xbox 360, etc. 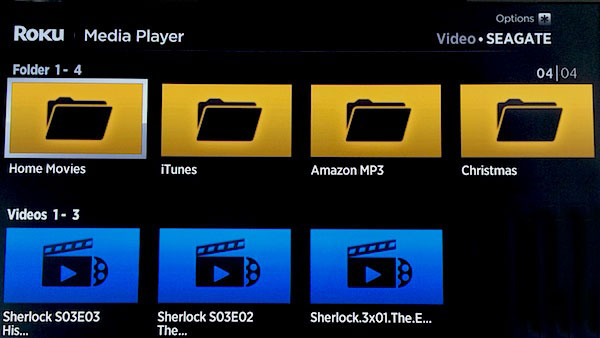 Converting and playing iTunes media files to Roku is no longer an issue when you use this program. Even a beginer can handle it with ease. 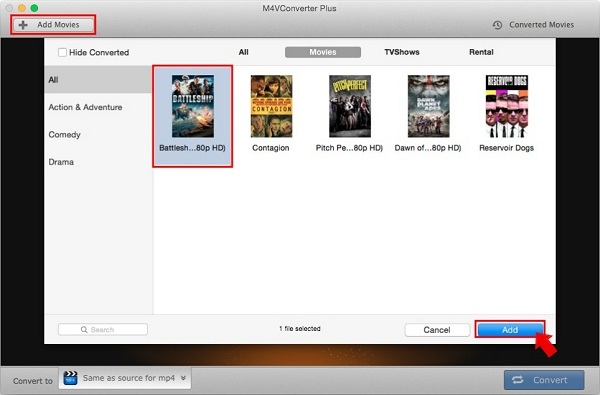 The following is the guide that will help you to convert iTunes movies to Roku friendly format. Step 1. Import iTunes DRM-ed M4V videos to M4V Converter Plus for Mac. First download the program on your Mac and install it. And then launch the program, you can click Add Movies button to import iTunes movies to the program. It supports batch conversion, you can add several files at the same time. Step 2. Select suitable video format from profile list. Go to Convert to Profile panel, there are many more video formats available for you, select the one friendly format (As the picture shown, Same as source for mp4) that you can stream to Roku. Step 3. 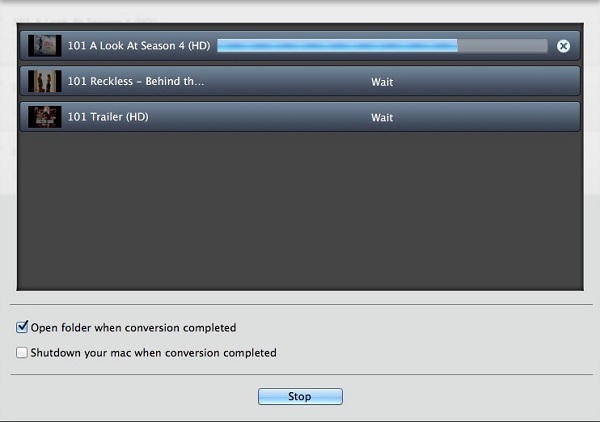 Simple click Convert to start converting iTunes movies or TV Shows you want. Once the conversion is done, you will find the converted files in Converted Movies folder. Plug a USB drive with your computer, drag and drop the converted files to the USB directly. 1) Install the Roku Media Player channel, either through the Channel Store on your Roku or via Roku's website. Launch the Roku Media Player channel and select Video. 2) Connect the USB drive to the Roku's USB port, located on the right side of the box, then choose the drive that's attached to the Roku. You can connect more than one USB drive to your Roku device by connecting them to a USB hub. 3) Navigate to the folder that has the converted iTunes video files you want to watch. Click OK to open the folder. Select the video to watch and click Play on the remote. 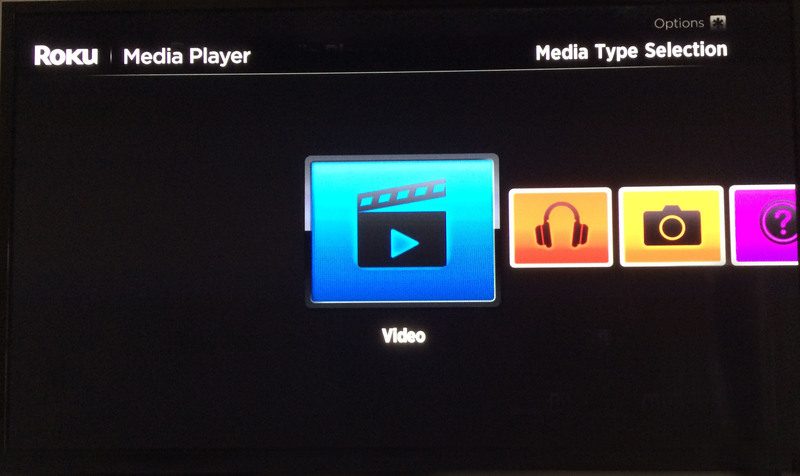 Now you can play iTunes movies or TV Shows on Roku successfully.